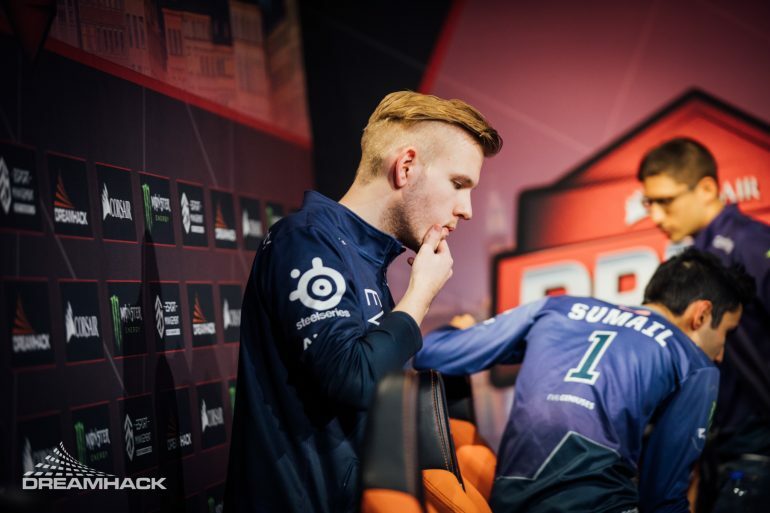 EG is the third team to earn their spot at The International 2019. After placing third in the previous two Majors, Evil Geniuses join Team Secret and Virtus Pro as the third team to secure a place in Dota 2’s biggest tournament. All three of the top teams in the Dota Pro Circuit were knocked into the lower bracket early on in the tournament, but that didn’t slow down EG. Up against Ninjas in Pyjamas, EG jumped right to focusing on key players and shutting down their opponents. After singling out their targets, the North American squad worked to deny their opponents any ground. They picked off key kills early on, specifically on Adrian “Fata” Trinks, who was running NiP’s key Timbersaw. Those kills started to add up and eventually became too much for NiP to overcome. With a one-game advantage, EG pushed quickly in the second game, taking the series victory and moving into the third round. With that win, EG guaranteed themselves a top-eight finish, which gives them enough points for entry into The International 2019. Meanwhile, in the other game, Virtus still looked shaky. Facing Chaos Esports Club, Virtus got rocked in game one. The match lasted just 22 minutes and it looked like Chaos would pull off another massive upset after sending Team Liquid home in the previous round. Virtus had their backs against the wall and went with one of their comfort picks as Vladimir “No[o]ne” Minenko proved once more that Morphling is dominating the Major. This pick helped Virtus force Chaos into a hard out and even the series up 1-1. In the deciding game, Virtus looked like they were going to lose the series, but the talented team quickly turned things around to completely shut out Chaos, giving them the win. Now that EG and Virtus are set to clash, at least one of the top three teams in the world will be eliminated before the bronze match for the first time this season. Before that, though, J Storm will try to knock off Secret tomorrow at 7:30am CT.